Who are freelancers? Freelancers are people who are self-employed and does not work for people for a long period of time. They basically work to get paid. In life mistakes are inevitable, but you cannot be successful if you can not learn from your mistakes. There are several mistakes which a freelancer makes whenever he does business with his clients, the mistakes could haunt him for years to come if not quickly realized. In this article, I will be explaining the kind of mistakes freelancers do make and how they can overcome their mistakes. Yes, this is a big mistake which majority of freelancers make in this generation. I know we humans need money but that does not mean we should be too greedy. For example, I know of one freelancer that was given a job to do of about writing 15 articles of 1600 words each for a period of 14 days. The freelancer at that time was doing another job for a different client entirely at that same time. In my opinion, he was greedy to reject the new offer because it was too profitable. He took up the job because of the high amount of money that came with it. On the completion of the job though, he was paid, but the client was far from happy with the job. The reason, being that the article lacked high-quality content. The freelancer was never contacted again by that client for another job. What I am driving at is that do not ever make the mistake of being greedy. Do not feel like you can handle lots of article writing within a short period of time. If it is possible, give the job to other freelancers to do. The mistake of delivering low-quality contents or poor job can hamper your career and your future jobs if you are given bad remarks. You can overcome this mistake by accepting jobs which you know you can do well and deliver within the stated period of time. The happiness that comes with being employed to work for a client cannot be put aside. But as a freelancer, you should not make the mistake of having to work for free. This Freelance secret guide I created will help you know how to earn a higher pay as a freelance writer. There are some clients that will dodge your payments when you have submitted their jobs. The challenging factor is that you cannot sue them in a law court because you have not seen them physically. What then can you do as a freelancer? You must be able to ready yourself for the client's demand. Ask them for payment in advance before the job is done. This is to show that the client is really trustworthy. Do not try working without discussing how and when you will get paid. Have a dialogue with your client before you decide to work for the person or not. Because of the difficulty in finding a client, you then fix a very low amount of money so as to get the job from the client. I tell you that you are only suffering yourself. If a project costs $40 to do, tell your client that you are charging $50. When negotiation has been completed between you and the client, you both will arrive at nothing less than the stipulated fee of $40. If you decide to put $20, all because you want to secure the job, then you are damaging your reputation as a good freelancer. In any case, If you are sure and confident your freelancing quality is very high, then set the price that matches your standard. To overcome this problem, always endeavour to be optimistic about being taken for a particular job regardless of the amount that is set. As a freelancer, you are always motivated to do things which you do not have much idea about because you do not want to look inferior to your client. Moreover, this mistake has made several freelancers lose favours from certain clients. After I showed some freelancers who thought they knew it all the secrets of Fiverr freelancing in this book, they realized that they knew nothing at all. Freelancing is deep, so you should learn from those in it already. If you do not know how to do a particular job, you can either get educated from those that know it or from the internet. Do not ever try to assume that you know the job very well because you could end up doing what will not be accepted. However, If you want to overcome this mistake, make sure you seek information from those who are experts in that area and also seeking information from the internet. That will make you educated in that area even when at first you did not have any idea about it. Like I said earlier, mistakes in life are inevitable. But the challenge is building upon the mistakes and making sure it does not occur again. 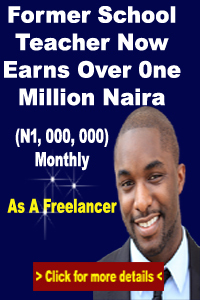 This article contains the mistakes made by freelancers in Nigeria and how they can overcome it. 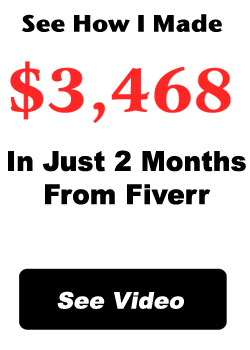 Remember to visit the link below for more enlightenment, especially if you intend to make money from Fiverr as a freelancer.